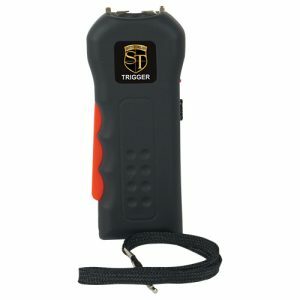 The rechargable 18 million volt TRIGGER stun gun with flashlight and wrist strap disable pin by Safety Technology has a unique trigger design for easy operation and lifetime warranty. 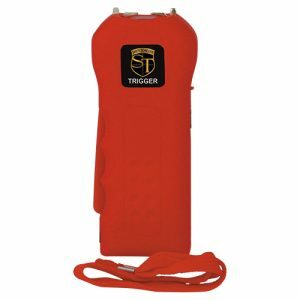 With a quick pull of the trigger you can have an attacker begging for mercy. 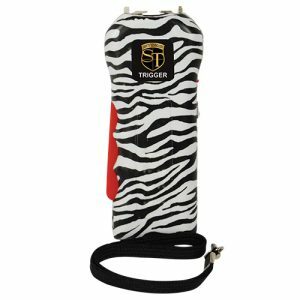 It has a rubberized coating to ensure a nice, tight grip. 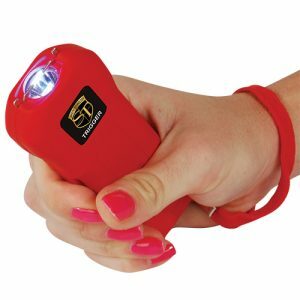 The super bright 100 lumen flashlight will blind any attacker or it can be used as an everyday flashlight. 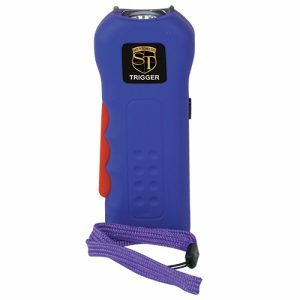 The stopping power on the Safety Technology TRIGGER stun gun is excellent with 4.8 milliamps of electrical current to bring down the enemy. No need to keep track of another charger since the recharger prongs are built in to each unit. The charge on the nickel-cadmium battery can last for up to 3 months depending on usage. 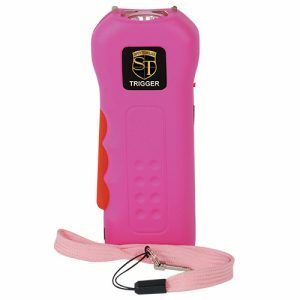 The Trigger stun gun comes with a disabling pin wrist strap that is an added safety feature. 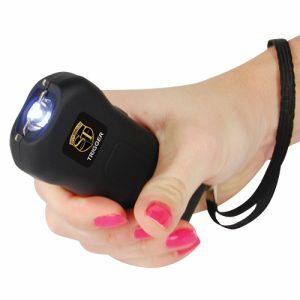 With the strap around your wrist, if the stun gun were to be knocked out of your hand or taken away by a thug, it will be rendered useless. 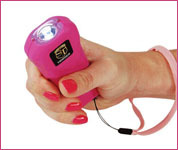 It is available in 6 colors Black, Blue, Pink, Purple, Red, and Green. LIFETIME WARRANTY. 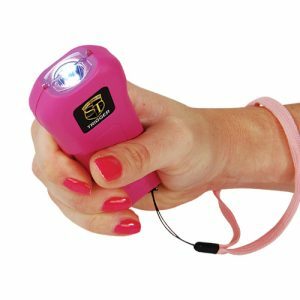 Stun gun flashlight with 4.8 milliamps of stopping power. 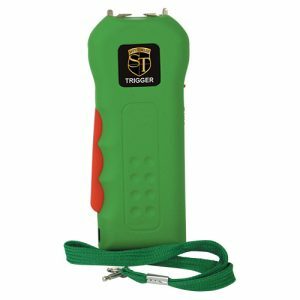 Wrist strap disable pin by Safety Technology has a unique trigger design for easy operation.